Recently we received a few emails about an issue that some users were experiencing on their iPad and iPhone. When they tapped on iOS Mail, they were able to open their inbox, see the sender details as well as the subject line of the email. But when the users try to tap on the email to open it, it would either freeze the mail app or exit out of the mail app. Other readers report that their email isn’t downloading at all or only some are downloading. And it’s very irritating, especially when you are waiting for an email that never seems to arrive! Most of the times, once you have set up your email accounts correctly on your iDevice, it works without any significant hiccups. There are however times when you encounter this weird issues either following an update to the iOS or after installing a third party app on your iDevice. To fix this problem, please follow the steps outlined below. Thanks to our readers, we were able to test this issue and the related solution. Before you proceed, please remember to write down your email id and the associated password for the account and keep it handy. 2 Is Your Mail Still Not Working? 2.2 Does Mail Continue Not To Work? One of the most common reasons our Mail app isn’t downloading emails or working correctly is when our internet connection is absent, down, weak, or spotty. So the first thing to try is to reset your WiFi or Mobile Data Connections. 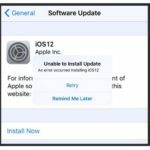 Can’t Update or Change Email Passwords on iPhone or iPad? 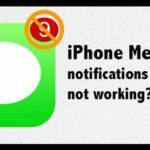 Tap on the email Account that you are having problems with–this example shows iOS 11. 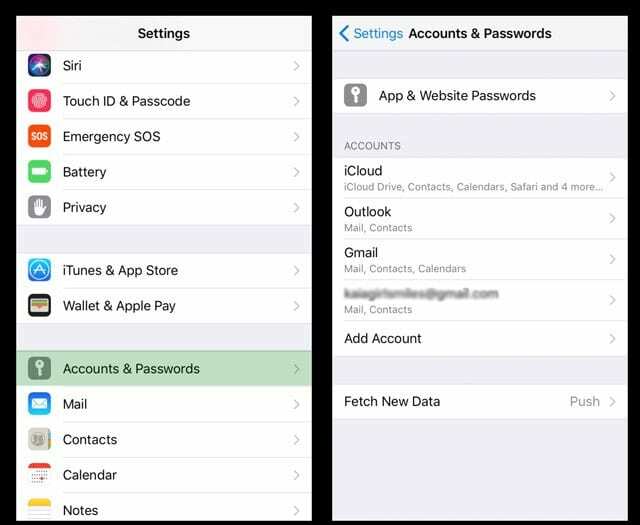 For iOS 12, find Settings > Passwords & Accounts and for iOS 10, look for Settings > Mail. Delete the email account. Please note you will not lose your stored emails or your contacts related to this account. Email is stored on the server, so once you solve the issue, they show up again. Once you have confirmed the deletion of the account, restart your device. Tap on Add Account and follow directions to set up your email account on the device. If you have issues in setting up the new account on your iDevice, please see detailed instructions from Apple here. Once you set up your mail account on your iPad or iPhone, give it a try. You should be able to download and open up your emails and read them. Is Your Mail Still Not Working? Once your device restarts, connect to a WiFi network and launch the mail app again. See if it’s connecting and working normally. Does Mail Continue Not To Work? Look at your mail account and its settings via a web browser (not an app). For AOL Mail, check if you enabled two-step verification. If possible, disable it. This process is known to cause problems with the iOS Mail App. Once disabled (toggled off), try adding back your AOL Mail Account and see if it works. If it doesn’t work at first, wait a few minutes and try again–it sometimes takes a bit of time before those changes go live. In my ipad internet is working fine on browser, but Mail application doesnt work. It doesnt download new mails. It shows ” No internet connection ” at bottom of the screen. I am pleased to say the first two suggestions worked, thank-you. Thank you!! Airplane mode on and off and wifi on and off resolved my issue! Had an issue with my iphone5 not able to open any of my mail accounts (icloud, yahoo, exchange, etc) for two days… I’ve checked my internet connections and proved it is strong and steady as i can open my accounts in another device… I can watch youtube and surf net without any issues with connection on my phone….. The quick steps below is similar to what i did to resolve the issue. “The most common reason our Mail app isn’t downloading emails or working correctly is when our internet connection is absent, down, weak, or spotty. So the first thing to try is to reset your WiFi or Mobile Data Connections. Hint: Try narrowing down the issue, if you can, to come up with more reliable solution. I followed all of your suggestions, but none worked. I was getting this message from my iphone and ipad mail app. On my IPAD: This message was given : Cannot get mail the user name or password for imap.aol.com is incorrect. For a few months I ignored it, but today aol mail did not work on my IPAD AND IPHONE, WHICH ARE LINKED. I followed all of your suggestions, for my IPAD, none worked. Finally I went onto my aol account on my computer, looking for your suggestions about Manage in the aol page. I went to the security security page and saw that when I changed my password in 7/2018 (when problem began) I had selected two step verification. When I went to Manage, AOL required an aol generated password for all third party apps. Apparently aol is try very had to get all aol users to use their AOl app in mobile devices. Once I toggle off this choice I was able to add my aol account back to my IPAD. SO YOU might want to add this to your suggestion. Do you know whether it is worth using the AOL APP? SINCE I ALSO have a gmail account, I like to access both email account using the mobile device, apple mail app. But if AOL isn’t playing friendly, I may finally drop my aol account altogether. Hi. iPad Pro 10.5 about one yes4 old. IOS 12 just installed. I open Mail OK. I read a message OK. I click the little Reply arrow OK. The message to which I want to reply slides left and three icons appear, the first of these is a blue reply arrow OK. I click this and a small window appears, offering me the options Reply or Forward OK. But now I click Reply, the mail app disappears and the Home page opens. I can in fact reply, using the top right pen on paper icon to start a new message. But something is obviously wrong here. I do NOT have the same problem on my iPhone 7, on which I installed IOS12 earlier today. I wonder whether you can help? I updated my iPhone 8 to 11.4.1 last night. Today, every time that I select the Mail application, it attempts to open, displaying a white screen, then flips right back to the home screen. However, when double-clicking on the home button, the mail screen can be seen (not updated) but even selecting from this location, the screen flips to the white screen, and the back to the home screen. I have tried all steps in the above process. If you haven’t deleted your mail accounts and the mail app, try that. To delete accounts, go to Settings > Accounts & Passwords and tap each account, then choose Delete Account. Once all accounts are deleted, go to Settings > General > iPhone Storage > Mail App > Delete App. Once you delete the app, open the App Store and tap the Search button in the bottom menu. Search for Mail App and then reinstall it. After reinstalling, restart your phone. Then add all your email accounts back in via Settings > Accounts & Passwords. Once all accounts are in, restart your device again and then see if the mail app now works. If you still have problems or don’t want to go through these steps, you can also restore your device and connect to a recent backup if that’s available. We recommend restoring your device using iTunes. thanks for this solution. It helped me solve my wife’s iphone 6s plus e-mail problem. My mail app seems to be frozen in the sense that my inbox has turned into a smaller and non-highlighted screen. And the drafts/new message boxes are minimized on the bottom of the screen. This happened when i was checking all my drafts and I clicked on a very old draft. When i restarted my mail app after this, it seems to have visually frozen. However the emails are loading fine on the inbox screen but I cant get a touch response anywhere on this screen. I have reset my settings a few times and I have deleted and reinstalled my Mail app. Nothing seems to help. I have a two-month iPad (the latest version) and have been getting my Yahoo (actually sbcglobal) with no problem. The other day I installed the latest update of iOS 11.4 and now my inbox won’t load at all. I’ve tried all the above: deleting and reinstalling my account, resetting the network settings, rebooting the whole iPad, putting my iPad in airplane mode then back to wi-fi, and deleting and reinstalling my account as “other” as opposed to Yahoo. Help! I need access to my email! Thank you! Sorry to hear about your issues with email on your iPhone 8 Plus. Have you tried deleting those particular contact cards from the Contacts App? First, write down all the information for each contact so you can enter it again later. Then open the contacts app, find the first contact that’s having issues and tap it. Scroll all the way down on the contact card and tap Delete Contact. Follow this process for each problematic contact. Once all problem contacts are deleted, restart your iPhone 8 Plus. Then return to the Contacts App and add those contacts back in, one-by-one. Press the Big Plus sign (+) in the upper-right corner to add a new contact. After all contacts are re-entered, close all open apps by double pressing home and swiping up on each app preview to close the app. Once all apps are closed, restart the device again. After restarting, connect to your fastest WiFi network and open the mail app. See if you can now send emails. Sorry to hear about your issue with email and sending pictures. It sounds like the Mail App froze, so let’s try to get it relaunch. First, double press the Home button or swipe up the Home Gesture Bar for iPhone X, then locate the App Preview for Mail and swipe it up, off the top of the screen, to close. While you’re here, swipe up on all the App Previews until you close them all. Once powered up, tap the Mail app and see if it re-launches. Hi SK, thank you for your reply. I just saw this..my husband was very sick he passed away the first part of June. I didn’t know I had a reply to my question. The problem is on my iPad. I’m not understanding your instructions to try and get my email back. If you can help me please send me a reply. Thank you again. I am very sorry to learn of your recent loss. My condolences and sympathies to you and your family. What a terrible loss. In reviewing your problem with emails, it sounds like you might have attached too many pictures to a single email. So what we need to do is close that email program first and then restart, giving your iPad a chance to refresh the connection to the email servers. 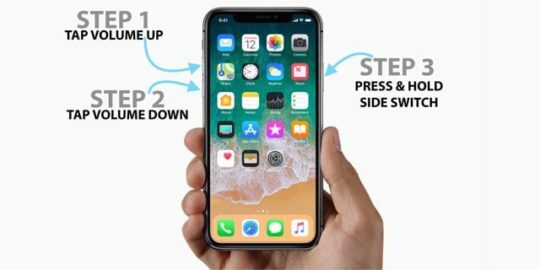 First, double press your Home button. This should show you all the apps that are currently open or in a suspended state. We want to close all these apps. So for each app preview, tap and swipe it up off the top of your iPad’s screen. Do this for all the apps until all that you see is your normal Home Screen. Next, power down your iPad and slide it off. Once off, wait 30 seconds and then press the power button to turn it back on. When the iPad turns back on, open your Mail app and see if it connects. Hopefully so! I receive emails on my IPad Mini no problem and I can delete them one at a time. However when I touch “edit” a message at the bottom says “Delete All”. I hit that and all the emails seem to be deleted but when I reopen the App they all are there again. I have over 9,000 emails I want to delete but not one by one. When isn’t the “Delete All” working? Ian, Thanks for the comments. Perhaps the tip on this article might work for you. https://appletoolbox.com/2017/06/ios-11-mail-app-eleven-tips/ . 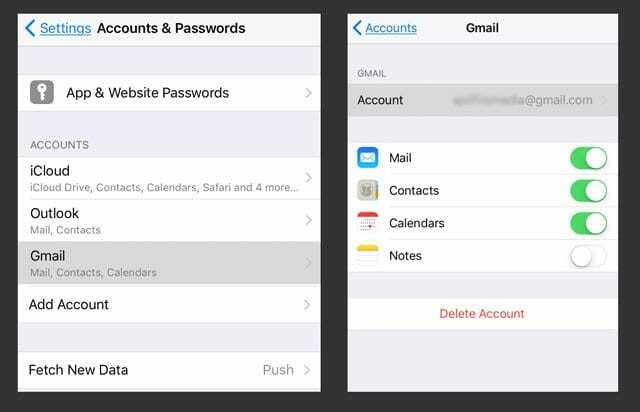 Please look at the section that reads “How to Delete All email”..
Lin, If yur iPad is running iOS 11 (The latest software from Apple), the tips in this attached article should you how to access your passwor for your Mail accounts.https://appletoolbox.com/2017/11/cant-update-or-change-email-password-on-iphone-or-ipad/ Hoping that this helps!! 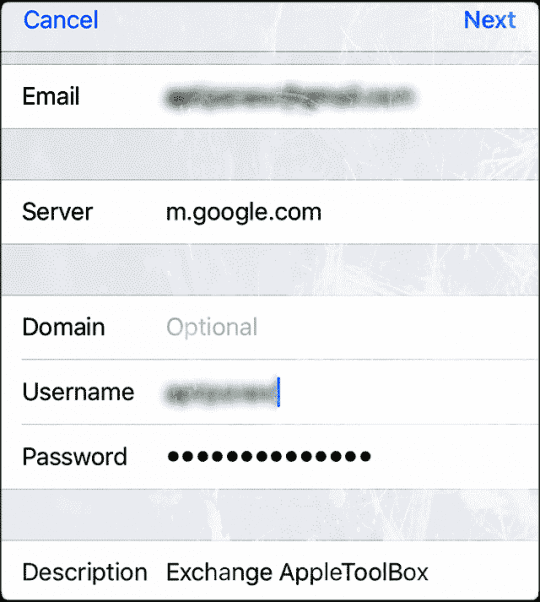 Lin, If yur iPad is running iOS 11 (The latest software from Apple), the tips in this attached article should you how to access your password for your Mail accounts.https://appletoolbox.com/2017/11/cant-update-or-change-email-password-on-iphone-or-ipad/ Hoping that this helps!! I have tried all of the above several times and none of them work. I couldn’t try the part about Cellular Data as I do not appear to have that on my iPad! When I double tap the home button I can see in the back ground the email page and it shows there is one unsent message. This is when all the problems started on thursday night and it is now saturday evening and no solution despite talking to apple as well. An email appears to be stuck in the system somewhere and I can’t get in to free it! I’ve tried all of the above and still no email. I tried reloading the aol app and that didn’t work either. Help! We’re aware that service is slow/inaccessible for some of our users when trying to access AOL Mail. We are working to fix it as quickly as possible. We apologize for the inconvenience and thank you for your patience. What version of iOS are you running? To check, go to Settings > General > About and look next to version. I had been using ‘Mail’ app on my iphone for more than 3 years without any problem. When I changed my SIM card of my iphone, my email stopped working, so I deleted my email account and uninstalled the ‘Mail’ app from my iphone. Later I re-installed the ‘Mail’ app on my iphone and tried to add my email account, but app itself stoped working while displaying the error message “Account Restriction – This iphone is restricted from creating mail accounts. Please help. It sounds like you have enabled Restrictions on your device. Go to Settings > General > Restrictions and see if it’s ON or OFF. If ON, tap it and select Disable Restrictions–you’ll need to enter your restrictions passcode. Make sure your iPhone allows changes for any accounts by going to Settings > General > Restrictions > Accounts (scroll down to find this) > Allow Changes should be checked. My email wouldn’t open on my iPhone or iPad. I got message “Cannot Get Email. The connection to the server failed”. When I try email n my iPhone I get the same message in quotes above. But let’s try some workarounds! First, close your Mail App by pressing the Home button or swiping up the Home Gesture Bar, locating Mail App Preview, and swiping that up off the top of your screen to close. Then, toggle Cellular Data ON (Settings > Cellular > Cellular Data)–if it’s already ON, toggle it off, wait 30 seconds, and toggle back on. And finally, reset your network settings by going to Settings > General > Reset > Reset Network Settings. This removes all stored WiFi network passcodes, so have those available to enter in again. Let us know if this works for you or if you continue to experience issues. My Iphone 6 started acting up today. I went in to delete an email account I no longer use and since that time I have not been able to use email. When I tap on the email icon, I get a white screen and it freezes. I have gone in to delete all of my email accounts and re install them to no avail. Not working at all. I am currently updating to IOS 11.0.1 to see if this will work. If not IPhone is trash and new phone coming in. I don’t have time to deal with this crap. Sorry to hear about your troubles. A quick thought, do you use iCloud to sync info from your email accounts? Try toggling off Mail, Contacts, Calendars in iCloud (Settings > Apple ID Profile > iCloud) and then restart. After the software upgrade to 10.3.3 was done on my phone, retrieving my mails has been an issue. I open the app and it closes. Can I undo the upgrade? How can I get the app to start working? 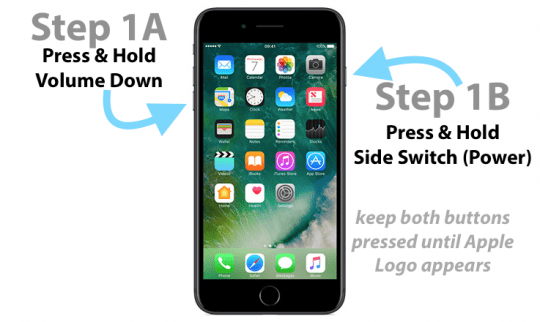 If you haven’t performed a force restart–first try this by pressing the Home button (or Volume Down for iPhone 7 and above) and the Power button at the same time–hold these both down until you see the Apple Logo on screen. Then try the Mail app again. If that didn’t help, try deleting your email account and then adding it in again–go to Settings > Mail > Accounts and delete your email account from there. Once deleted, restart your iPhone by pressing the power button, and then open the Mail app settings again to add your email account back in. Upgraded to the 10.3.3 ??? on my iphone 6s, ever since I’m unable to retrieve my emails, It appears that the most recent email is always stuck in a que.. So I’ll send myself a test email… It doesn’t show up, then I will send another email test 2 , it won’t show up, but now the first test will now show up.Apple claims they have no idea why?? Thanks! I closed and reopened mail app ( 2nd choice on list) and it worked. In response to Joanne Renauld post, I have exactly the same issue, now July 28 2017 this seems to be a common issue, no clear fix to it ..Joanne did you get yours functioning again from the 9.3.5 update, as these iPad 2 stop at that update we do need a plan otherwise these units are obsolete ? Email app simply will not open in the foreground. It appears to be open in the background and I can close it but when I open again I cannot bring it to the foreground. It just keeps closing. I have tried each step above and nothing is working. Help! A few people report this same problem with their Mail app after updating to iOS 10.3.2. A good workaround is to delete the Mail app and then reinstall it via the app store (type it in the search bar to locate.) This trick works for the folks that experienced this particular issues. This deletes all your Mail account info, so you need to add that it again. Fingers crossed this tip works for you. If not, let us know. I can not get any gmail on any of my Apple products. I’m getting yahoo mail. Try deleting your Gmail account from your Mail app. Go to Settings > Mail > Accounts > Select Your Gmail Account > Delete Account > Delete From My iPhone (iPad, etc.). Then restart your iDevice by holding both Power and Home (or Volume Down for non-mechanical homes), release when you see the Apple Logo. Once fully restarted, go back to Settings > Mail > Accounts > Add Account. If this still doesn’t work, Gmail offers an App so that’s an alternative solution. I do not have WIFI assist on my iPad 2.
also the “only” other email account I have is an iCloud one . Clearing it will make me loose a lot of data that I need to keep!! Oh my goodness! Let’s try this. Hopefully, you have access to a Mac or Windows PC. If so, open icloud.com and click on Mail. All your iCloud.com mail should be here–double check and see if that’s the case. If so, go through the steps of toggling Settings > iCloud > Mail OFF and then ON again. We have you on iCloud.com to make sure that none of your emails are deleted. Are you sure you are unable to Reset all settings? Settings>General>Reset>Reset all settings. If not, what about just resetting your network settings? 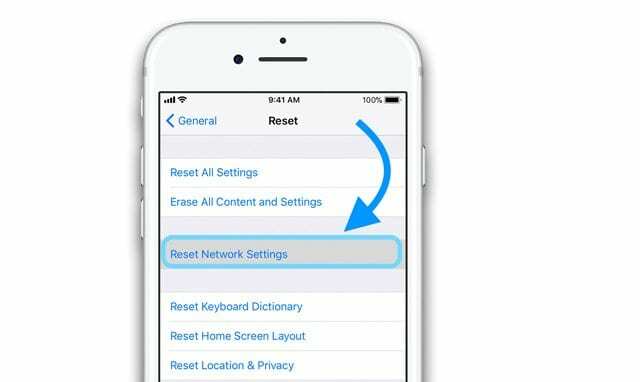 Settings>General>Reset>Reset Network Settings–this removes your Network IDs and passcodes, so you need to re-enter that info. Otherwise, the only other option I can think of is to look for a corrupt email, that’s causing problems on the server. Go to a computer or another device and log into your mail using a browser. Look for any emails that you don’t recognize, especially any that have attachments–delete all those emails. And once all are deleted, go to the trash and empty the trash–or delete them from there. The point is you want to remove any trace of them–not archived, not just sitting waiting for trash to remove them automatically. 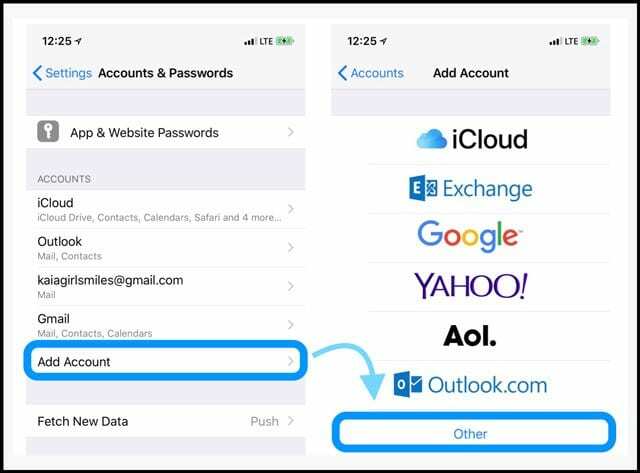 Since you have multiple email account, do this for both your yahoo and iCloud accounts. It’s painful, I’m sorry. My iPad is an ipad2 and hence cannot be upgraded to iOS 10 unfortunately! I disabled and reenabled my yahoo account closed iPad and then rebooted : no result. I do have another mail account on iCloud, however I am afraid to sign out lest I stand to loose material. Could you let me know what are the side effects to signing out the iCloud mail account and then reinstalling it? Thank you for your help. Since yahoo stores all your mail on its servers, signing out of iCloud should not impact your data. Same holds true with other emails accounts, except for an iCloud email account. So if your other email account is Gmail, Hotmail, outlook, or so forth, toggling Settings > iCloud > Mail off and then on again should not delete any of your data–that’s why you access it on different computers and apps. I suggest giving this a try. Another option is to disable WiFi Assist, if that setting is on your iPad. I really hope something works for you this time. The mail icon that came originally with the iPad never gets an X for cancelling ! And furthermore this icon is never offered in the application store. I wish those two steps were possible they would have solved the problem! As for resetting all settings, I do not believe it is a good idea because I will loose so many settings the I will not remember. It sounds like you are running iOS 9 or lower. Starting with iOS 10, you are indeed able to delete and reinstall the Mail app. And it is available via the app store, you have to manually enter “Mail” in the search bar. But since you are running an earlier iOS, it may not show up. So, would you consider updating your iOS to iOS 10? If so go to Settings > General > Software Update and see what’s available for your iPad. If not, did you try this suggestion from earlier? If you do not want to delete and reinstall the Mail App, Disable and re-enable each Mail account within the Settings > Mail > Accounts > Select Account > Delete Account. Do this for each account. Once all accounts are deleted, force restart your iDevice by pressing Power and Home (or Volume Down on devices without a mechanical home button) and keep pressing until the Apple Logo appears. Then once fully restarted, try the Mail App again. Another thing to try is disabling Mail from syncing via iCloud. Navigate to Settings > Apple ID Profile > iCloud and toggle off Mail. This is Nazli again. I followed you suggestion and cleared my yahoo account, effectively I did not lose my notes. However my mail icon is still frozen!!!!!!!!!! I am glad the notes suggestion worked. Now to your frozen Mail App. First, check that your iCloud account is backing up your Mail app. Go to Settings > Apple Profile > iCloud > and toggle on Mail. Then scroll down to iCloud Backup and press Back Up Now. If you are running iOS 10 or above, you can now uninstall and then reinstall your Apple Mail App! Since your App is freezing up and not running, it’s probably best to try this uninstall & reinstall option. So press and hold your Mail App icon until the red “x” appears. Then press that “x” to delete the app. 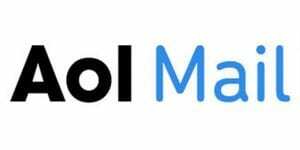 This does erase your connections to ALL your mail accounts; however, since mail is stored on servers and not locally, all you need to do is reinstall the app and then add your mail accounts in again. If you do not want to delete and reinstall the Mail App, Disable and re-enable each Mail account within the Settings > Mail > Accounts > Select Account > Delete Account. Do this for each account. Once all accounts are deleted, force restart your iDevice by pressing Power and Home (or Volume Down on devices without a mechanical home button) and keep pressing until the Apple Logo appears. Then once fully restarted, try the Mail App again. Hopefully, these steps work for you! My mail icon is frozen on my iPad.. I have tried all suggestions except deleting then creating a new account..because this will delete my Notes and I would like to keep them. Any suggestions! Notes is one of the apps that iCloud syncs, so to keep all your notes turn on iCloud and enable the Note setting. Go to Settings > Apple ID Profile > iCloud > and toggle on Notes. Next, go to Settings > Apple ID Profile> iCloud > iCloud Backup and tap Backup Now. This should back everything up to iCloud. Once, you’ve done all that it, all your data is backed up to iCloud. So deleting an account and then adding it back in should not result in any data loss. If you are really concerned about losing data, do an additional backup to your computer using iTunes. And then delete and add the mail account back in again. Greatly apppreciated by me as well. 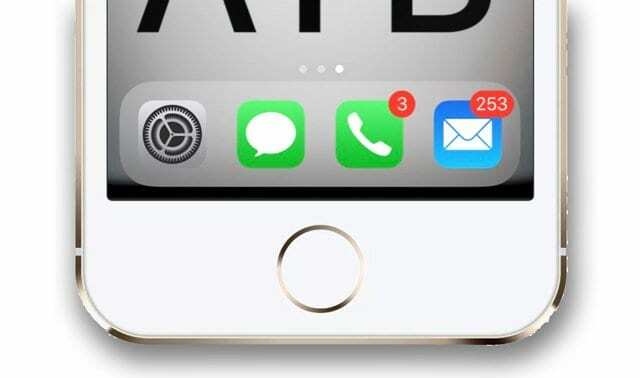 Mail icon vanished off iPhone6 screen, etc, but everything now restored. Many thanks. Ever since I downloaded ios10 I have had nothing but problems. I have just worked my way through all the tips above but neither my yahoo or gmail accounts will open their emails. It’s taking hours to constantly reset. There must be a way? Dorinda, I am up and functioning. I just got it going so I may run into an unforeseen problem but so far so good. First of all I had a concern that my ipad2 (which is having the problem) was backed up to my Mac after the stuck outgoing mail had occurred. I was also unsure as to what would happen with a reset as it would take me back to the original iOS when my backup was 9.3.5. Anyway, apparently my concerns were unwarranted. This is what I did. In “settings” I chose “reset” then “erase all content and settings” (scary, I know). Then it had me chose my backup source which in my case was my Mac. Other choices were iCloud (which I hadn’t backup to) and iPhone (which would not have all the info required for a complete restore). I should mention that I had a choice to not use the backup but instead treat it like a new iPad. It would have been my next plan of attack but thankfully I didn’t need to go that way. Long story short, I followed the guide of the computers (Mac and iPad). I waited until every app was loaded back onto the iPad. I was concerned early on that email again wasn’t going to work because the email icon was showing 598 new emails, which it was showing before, so I was thinking I just reloaded the problem again. However, when all apps completed loading, I got brave and clicked on the email icon. With just slightly longer than normal, email opened. Can’t believe it! Now incoming email looks normal. I don’t show any “outgoing” email, not even the stuck one. I did previously have a “draft” but it is gone too. The weird thing is my sent mail. There is one recent one, then the rest are from 2011. Fortunately, I’m not concerned about those. So I don’t know if these steps will work for anyone else or not. Try at your own risk I guess. I’m just excited to have mine working! Joanne, Way to Go!! Thank you so much for sharing the tips. I am having the same problem. Only started since I got the new iOS patch. I have tried the above and it is not working. Dorinda, I feel your pain! I am still trying to figure out a solution. I leave on an international trip in less than two weeks and desperately need my iPad to be working. If you find a resolution, please share. I will do the same. Good luck! I have the same issue with being unable to open the mail app, it’s been doing it for a while (long before I updated to 9.3.5), it would do it a few times then eventually open but now it won’t open at all. Several days of trying to fix it but all to no avail. I’ve deleted all accounts but icloud (which I don’t use) and still it won’t open. SK, Thank you for your reply. The whole problem is that the ipad2 mail app will not open (caused by an outgoing email with a large attachment). Since your response, I have tried opening email in airplane mode and the mail app still won’t open. So I can’t delete the offending outgoing emails. I also phoned my email provider to see if they could delete it. They said the outgoing mail is stuck on my iPad and hasn’t reached them, so they can’t delete it either. I’m at a loss. How do I get the outgoing email deleted when I can’t open email to make the deletion??? Did I miss something in what you told me above? Does anyone from Apple ever respond to these comments? Further to my previous post, it may be of interest to know that sometimes after re-entering my email account, I can hear the ping of incoming mail. The mail icon also indicates an increased number of unread mail! This happens throughout the day, not just immediately after re-entering my acct., but the mail app continues to refuse to load. I have iPad2 9.3.5. Recently I tried to send an email from iPhoto (containing a 1 minute video). Later I saw this same email sitting in the outbox of the mail app, unsent. So I clicked on it and hit send again. Now I cannot get the mail app to load. It will sit on basically a white screen for a minute then revert back to the home screen. If I double click the home button, an old email will be sitting there looking like mail is one of my currently open apps. (oddly, whether I’m holding the iPad landscape wise or portrait, it’s a different email, but always the same two) When I click on that email, it enlarges like it normally would, but the screen is frozen for a moment then reverts back to the home screen again. I have tried the steps above deleting my email account and doing the shutdown/re-enter account repeatedly to no avail. From reading the blogs, it sounds like this is a problem specific to iPad2 9.3.5 triggered by sending an email from the iPhoto app. Is there a fix for this? My iPad was backed up to my Mac either Apr 11, 2015 or Nov 4, 2015,,,,,so i’m thinking that backup doesn’t have 9.3.5 on it. Do I dare to do a full reset? My mail app has not been loading for a few days now, I’ve spent hours trying to get it going, and I’m getting desperate. The iPad otherwise works fine. Is there an update coming out to fix the problem 9.3.5 has caused? Or are there steps I can follow to get it working? Please help! I have deleted my gmail account as directed, restarted my ipad and added my account again. My mail page will still not load. There is not a strong internet signal where I am. Could this be why it hasn’t worked? I am getting very frustrated!! thank you it was very helpful.